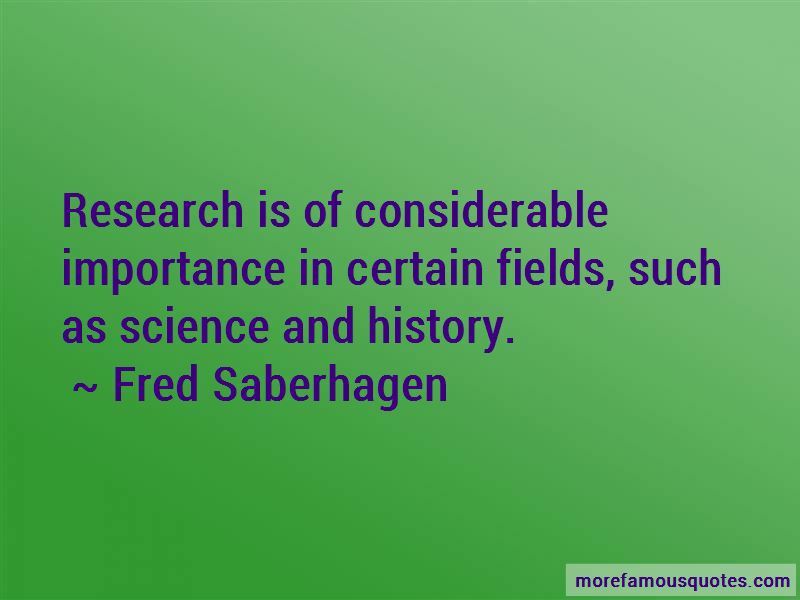 Enjoy the top 33 famous quotes, sayings and quotations by Fred Saberhagen. 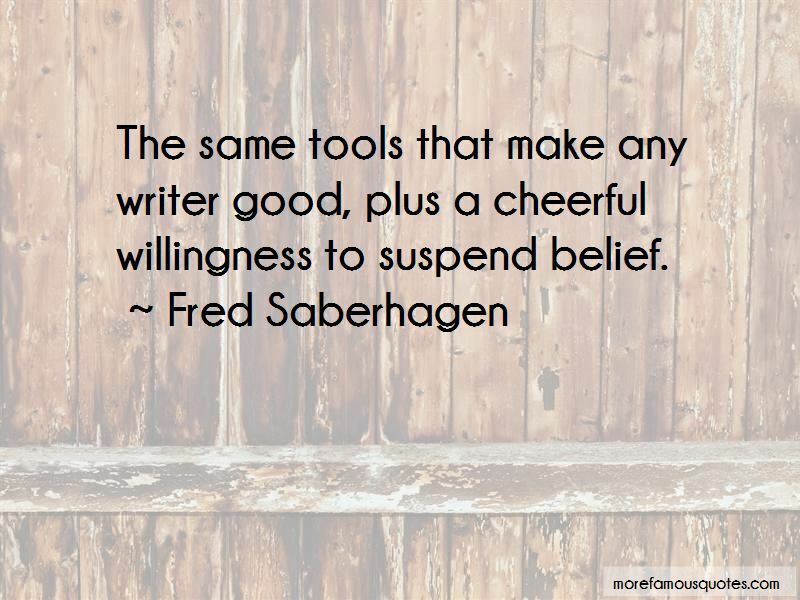 The vision of Van Helsing as a vampire is one before which my imagination balks; this is doubtless only a shortcoming on my part; he may have been well fitted for the role, since as we have seen he had already the power, by means of speech, to cast his victims into a stupor. 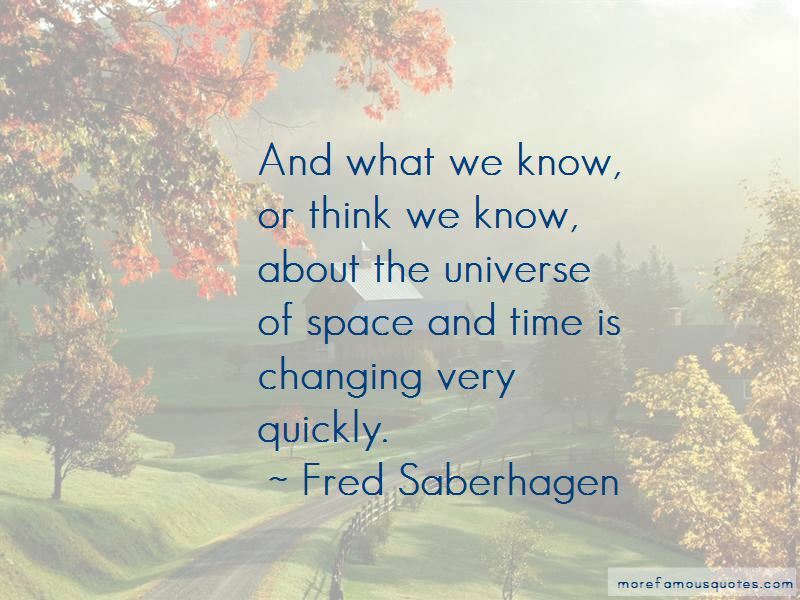 Want to see more pictures of Fred Saberhagen quotes? 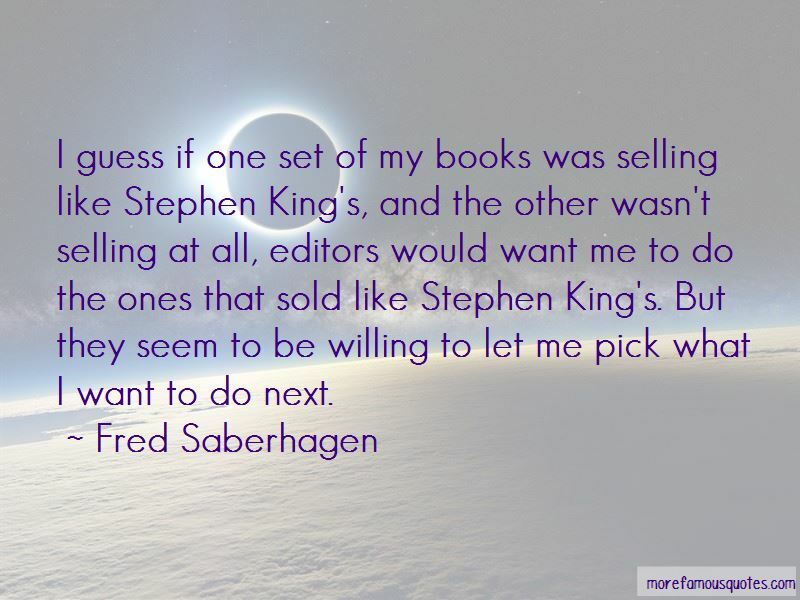 Click on image of Fred Saberhagen quotes to view full size.